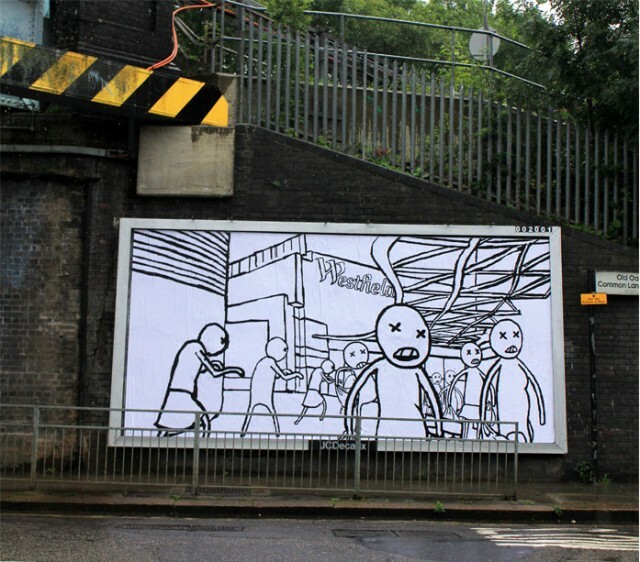 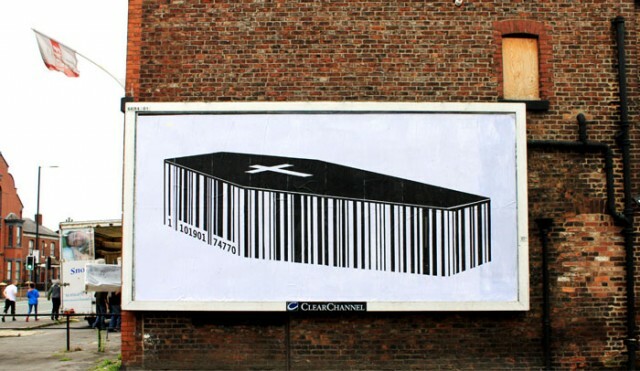 Brandalism was a recent anti-advertising campaign in which an international team of 25 artists contributed artworks that were covertly installed on billboards in the UK. 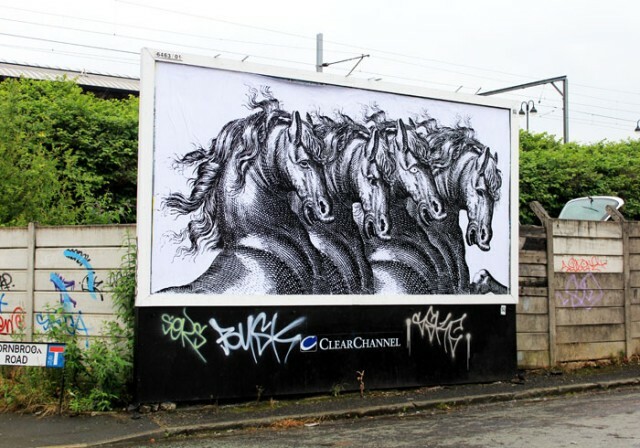 You can see the results of the campaign on the Brandalism gallery page. 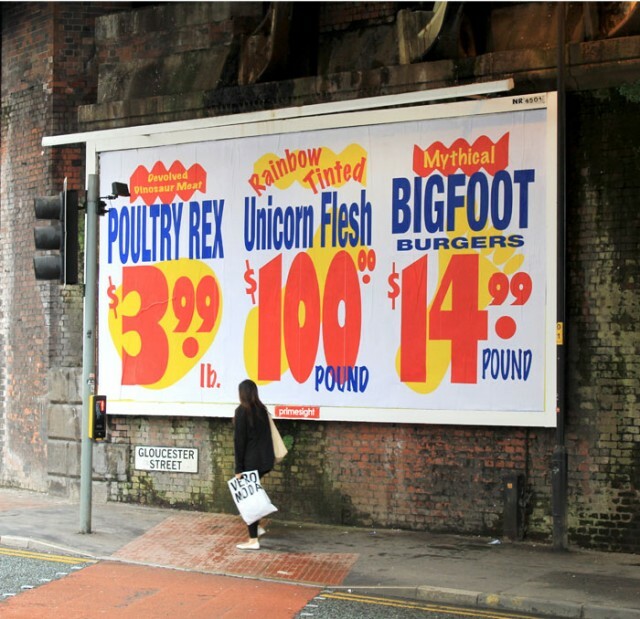 Following on from the guerilla art traditions of the 20th Century and taking inspiration from the Dadaists, Situationists and Street Art movements, the Brandalism project will see the largest reclamation of outdoor advertising space in UK history as artists challenge the authority and legitimacy of the advertising industry. 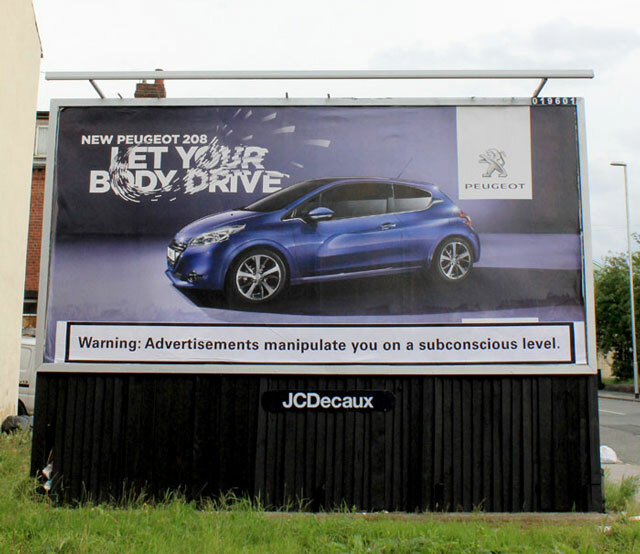 We are tired of being shouted at by adverts on every street corner so we decided to get together with some friends from around the world and start to take them back, one billboard at a time. 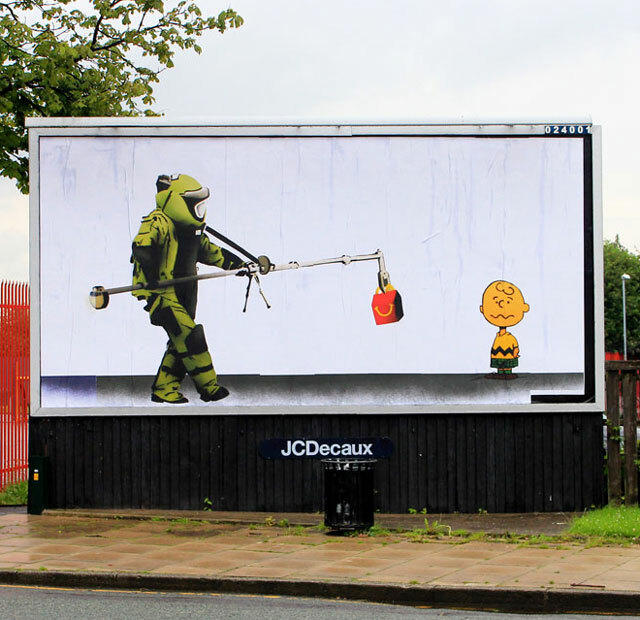 For more billboard subversion, see the Billboard Liberation Front.